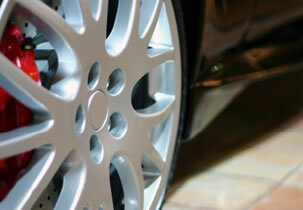 ScuffedAlloys.com - Alloy wheel repairs in North West England. Welcome to scuffedalloys.com where you will find everything you need to know about alloy wheel repairs. Located in North West England, Scuffed Alloys specialise in alloy wheel refurbishment for all types of vehicles - whether you have a trusty family saloon, a nippy runabout, an executive fleet car, or a prized performance sports car, scuffedalloys.com can restore your damaged alloys back to showroom condition. We will refurbish scuffs, scrapes, chipped and road damaged alloys in record time and we can even do the work at your premises. Click here to book an appointment for repairs to your damaged alloy wheels.